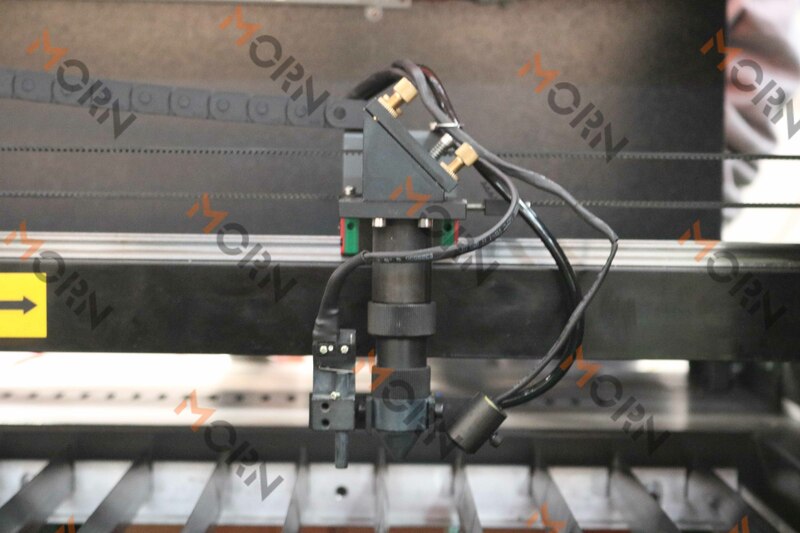 6 Tips for Laser Engraving Wood – Blog of Fiber Laser Cutting Machine, Fiber Laser Marking Machine, CO2 Laser Engraving and Cutting Machine. Wood in nature has pretty distinct fate. Some poor wood is simply used as fuels, disappearing quickly without any trace. And some are transformed to various furniture or tools, offering convenience to people’s lives. Yet there is some other wood that can be favored and treasured by people. This kind of wood is never pure wood but is engraved by laser machine as art works or crafts. Laser engraving technology digs out the potential value in wood. A rough and even messy wood is not worth a cent before it was engraved. However, the laser engraving technology is not that easy as we speak it. Why? This article here intends to give you some explanations via 6 tips about how to laser engrave wood. Before engraving wood, cover the surface of the wood with low-tack masking tape. In this case, the surface of the wood won’t be dotted with brown or gray stains caused by smoke. Once the job is finished, take out the tape and you will find it’s cleaner than usual. This method can be time consuming if you are processing some very detailed projects. Then a paint scraper can be utilized to speed things up. After engraving work, prepare a bottle of denatured alcohol and a white piece of cloth to clean burn marks. Here 2 things should be heeded – you must spray the alcohol evenly to protect engraving results and you should use an uncolored piece of cloth (like white one) to wipe the burn marks without being stained by the dye. A higher engraving resolution can be achieved by increasing more dots per inch (DPI). More DPI usually means more times the laser will fire. Therefore the wood can be burned darker and accordingly twice time may be taken to engrave if adopting this method. So you should make a balance between engraving resolution and time spending. Do not set the focus of your laser automatically and set it as manually instead. You can use a digital caliper and drop your laser bed .2″, which can produce less mess and smoke. In this way, not only the engraved wood surface is more cleaner than ever before, but also you will spend less time cleaning the wood surface. This method is particularly recommended when engraving pretty detailed projects. Our past engraving experiences told us that plywood does not work well as we had imagined. Then we chose hard wood for large engraving for 3 reasons. Firstly, the grain on the wood surface runs in a consistent direction, beautiful and brilliant. The second is that hardwood is heavier than plywood and a higher engraving quality can be ensured. And the last one is that the hardwood surface can be totally controlled. Although we didn’t process plywood well compared to hardwood, we do think that you are likely to engrave plywood perfectly with skilled craftsmanship and advanced engravers. It’s recommended to do more engraving experiments on different kinds of wood, from which you may figure out better laser solutions. Laser engraving wood is a common technology in laser engraving industry, but further exploring the huge value in wood is the permanent mission of laser engraving technologies and machines. Thus we still have a long way to go to enhance laser technologies and craftsmanship.